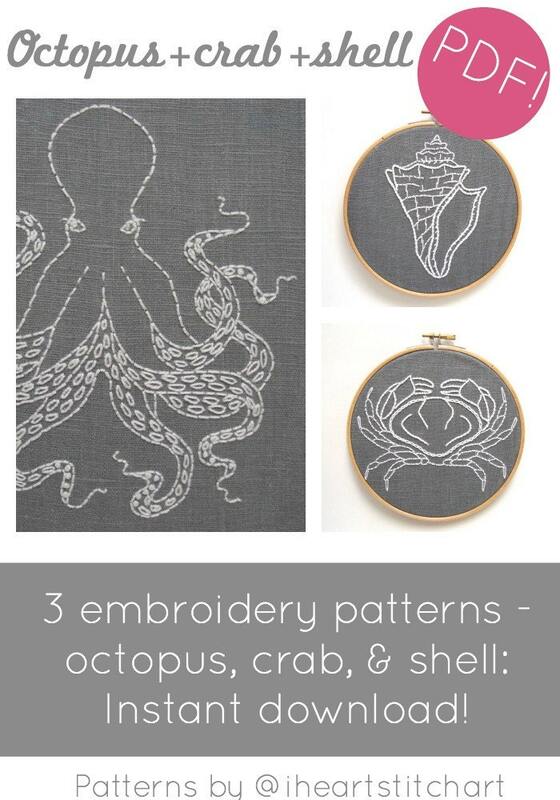 DIY ocean-themed embroidery pattern set - contains crab, shell, and octopus embroidery patterns! 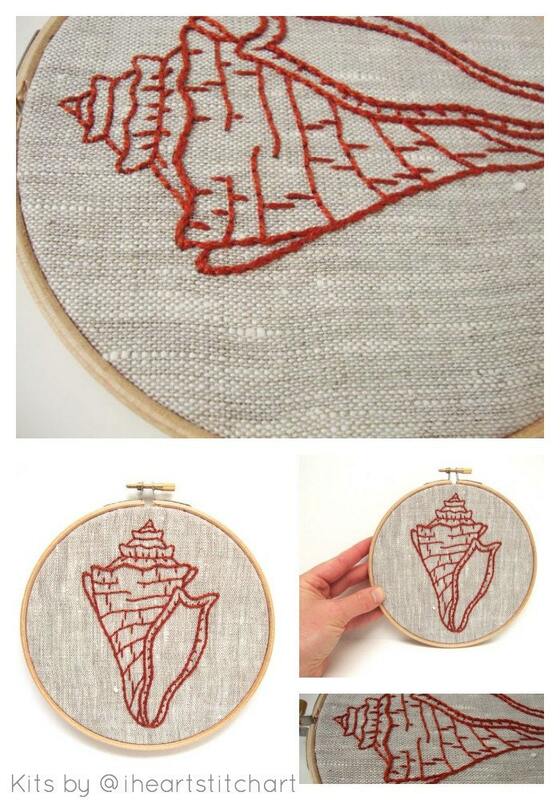 Instant download, for use with hand embroidery. *Includes regular and reversed versions where applicable - and octopus comes with and without leg details. 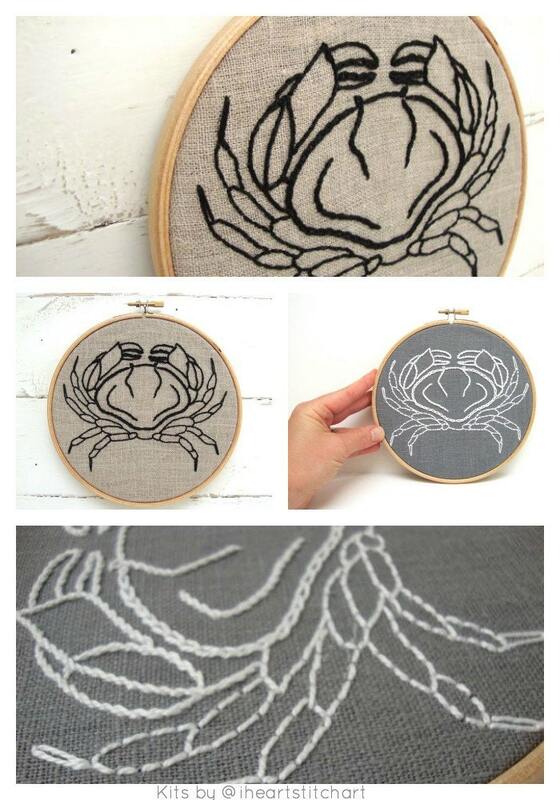 The crab and shell patterns are sized to fit in a 6" hoop; the octopus is sized for an 8" hoop. But, you are free to scale up or down as you'd like. 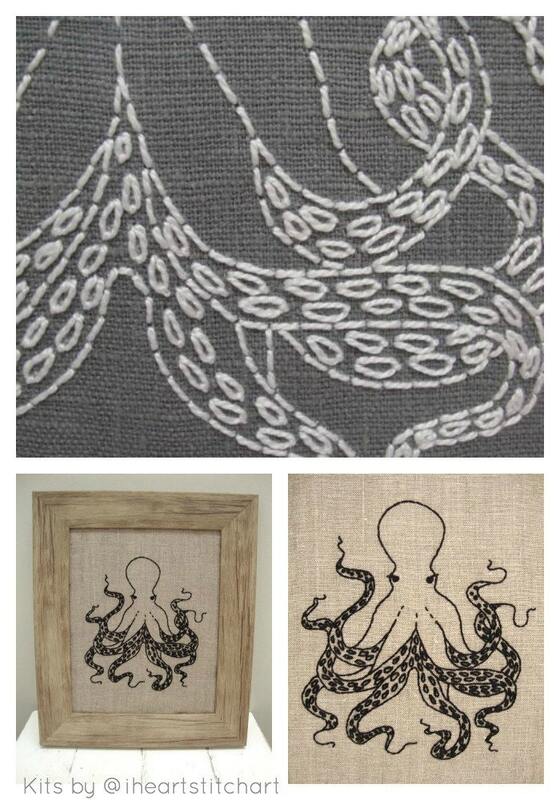 Copyright Sarah Milligan/I Heart Stitch Art 2014-17. Fantastic! Clear, well produced and lovely designs!